TWO US DRONE strikes on northwest Pakistan killed a senior Taliban commander who fought American forces in Afghanistan but had a truce with the Pakistani military, intelligence officials said Thursday. The commander, Maulvi Nazir, was among nine people killed in a missile strike on a house in the village of Angoor Adda in the South Waziristan tribal region near the border with Afghanistan late Wednesday night, five Pakistani security officials said on condition of anonymity because they were not authorised to talk to the media. America’s use of drones against militants in Pakistan has increased substantially under President Barack Obama and the programme has killed a number of top militant commanders over the past year. But the drone strikes are extremely contentious in Pakistan, seen as an infringement on the country’s sovereignty. And while the US maintains that it targets militants, many Pakistanis complain that innocent civilians have also been killed. Fighters under Nazir’s command focused their attacks on American forces in neighbouring Afghanistan, earning him the enmity of the US. But many in Pakistan’s military viewed Nazir and militant chiefs like him as “good Taliban,” meaning they focus attacks only on foreign forces in Afghanistan, keeping domestic peace by not attacking Pakistani targets. Nazir outraged many Pakistanis in June when he announced that he would not allow any polio vaccinations in territory under his control until the US stops drone attacks in the region. Residents in Angoor Adda and Wana, the biggest town in South Waziristan, said mosque loudspeakers announced Nazir’s death. One resident, Ajaz Khan, said 5,000 to 10,000 people attended the funeral of Nazir and six other people in Angoor Adda. Ahmed Yar, a resident who attended the funeral, said Nazir’s body was badly burned and his face unrecognisible. Reports of individual deaths in such cases are often difficult to independently verify. Pakistani and foreign journalists have a hard time travelling to the remote areas where many of these strikes occur, and the US rarely comments on its secretive drone program. Nazir was active in many parts of Afghanistan and had close ties with Arab members of al-Qaeda as well as the Afghan Taliban, said Mansur Mahsud, the head of the Islamabad-based FATA Research Centre, which studies the tribal regions. “His death is a great blow to the Afghan Taliban,” he said. The Taliban is a widely diverse group. The Afghan Taliban is made up mostly of Afghans who fight against US and Nato troops. In Pakistan the group has been divided with some fighting the Pakistani government because of its support for the US Other Taliban groups in Pakistan, such as Nazir’s, focus their energies on fighting American and NATO troops in Afghanistan but have a truce with the Pakistani military. Nazir’s non-aggression pact with the Pakistani military allowed the army to launch a massive operation in South Waziristan against the TTP which displaced more than 800,000 people and drove Hakimullah Mehsud from the region. In retaliation for the assassination attempt, Nazir expelled members of the Hakimullah’s Mehsud tribe from Wana. Nazir was meeting with supporters to discuss how to deal with the TTP when the missiles struck on Wednesday night, said Mehsud from the FATA center. Nazir’s group quickly appointed his close aide Bawal Khan as a replacement, according to one of Nazir’s commanders. He spoke on condition of anonymity because he was not authorised to talk to the media. But it remains to be seen what the new leader’s policies will be and whether the tension with the TTP could lead to a power struggle in the region. “Trouble will follow,” said Mehsud. The former chief of intelligence in northwest Pakistan, retired brigadier Asad Munir, said Nazir’s killing will complicate the fight against militants in the tribal region, and could prompt Nazir’s group to carry out retaliatory attacks against the Pakistani army in South Waziristan. It will also raise questions among military commanders here who would like the U.S. to use its firepower against the Pakistani Taliban, which attacks domestic targets, and not against militants like Nazir who aren’t seen as posing as much of a threat to the state, Munir said. He added that the risk now for Pakistan is that the remnants of Nazir’s group could join ranks with the Pakistani Taliban in its war with the government and army. Drone strikes have been on the rise during Obama’s presidency. The program has killed a number of top militant commanders over the past year, including al-Qaeda’s then-No. 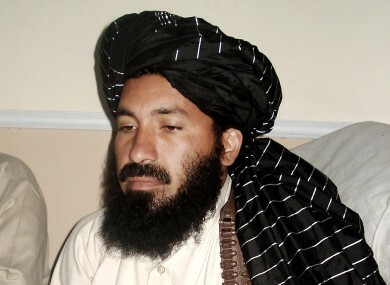 2, Abu Yahya al-Libi, who died in a drone strike in June on the Pakistani village of Khassu Khel in North Waziristan. In August, another missile strike in North Waziristan killed Badruddin Haqqani, who has been described as the day-to-day operations commander of the Haqqani network, which has been blamed by the US for carrying out some of the most high-profile attacks against American and Nato troops in Afghanistan. Email “Pakistan says US drones killed senior Taliban figure ”. Feedback on “Pakistan says US drones killed senior Taliban figure ”.